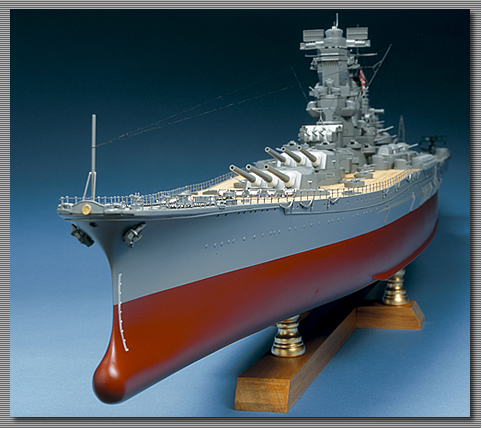 In 1941, the world's largest battleship was born with the best shipbuilding technology at the time with over four years. 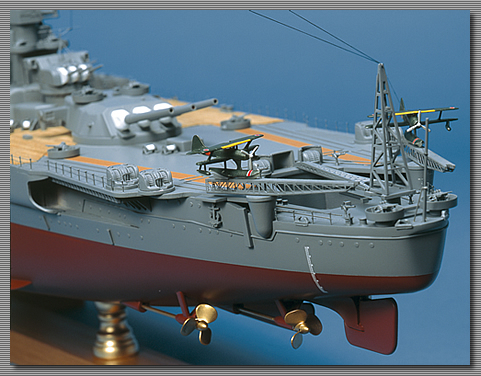 Its name is "Yamato"
It was equipped with 46 cm main guns and the hull was covered with thick steel steel of 410 mm. Equipped with a waterproof compartment that divides the hull into 1,147, it was designed not to sink absolutely. 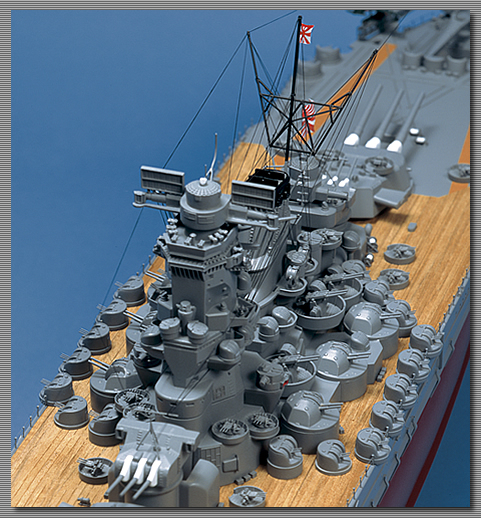 Total length 263 m, full weight 72,800 t. It was a huge battleship that was prominent even now after 60 years since the end of World War II. 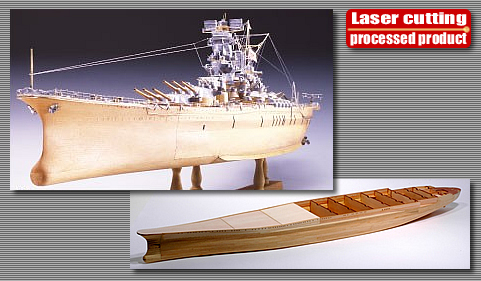 The hull is a box structure with a laser cutting board, and anyone can assemble Yamato's hull definitely. 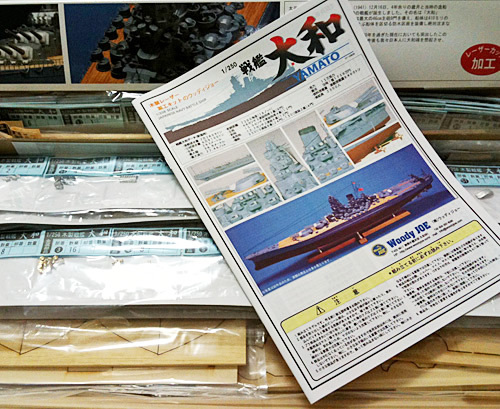 Products use die-cast parts, soft metal parts and etched parts to reproduce battleship Yamato. 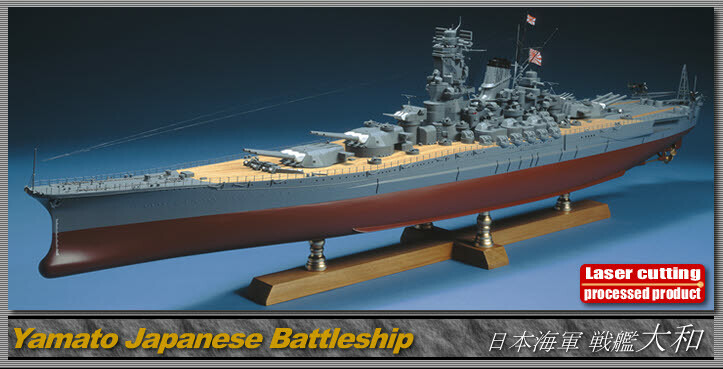 A huge battleship of the legend revives in your room. 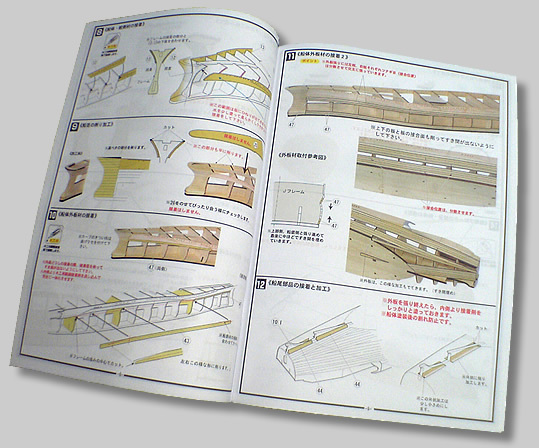 The frame method by the laser cutting is adopted in the hull, and everyone can surely assemble an elegant hull of battleship yamato. 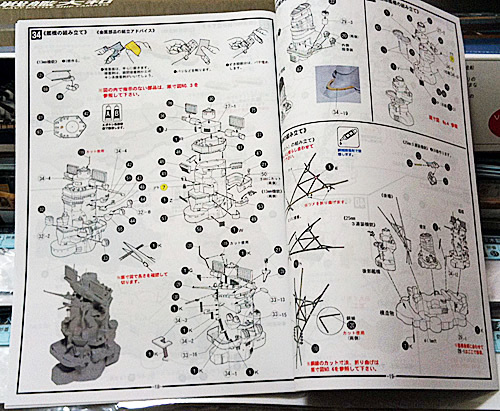 Moreover, a die cast, a soft metal, brass, and the etching parts, etc. are multiused to the structures such as bridges and turrets. 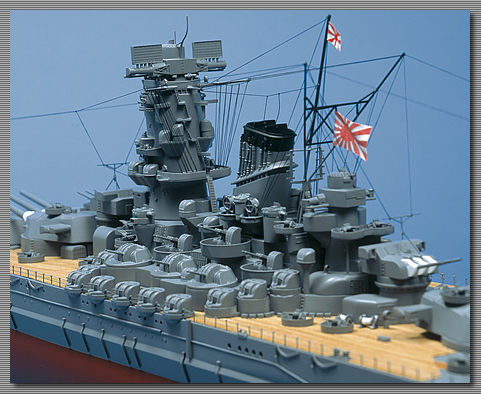 A huge battleship of the legend of which Japan boasts to the world revives in your room through this kit. 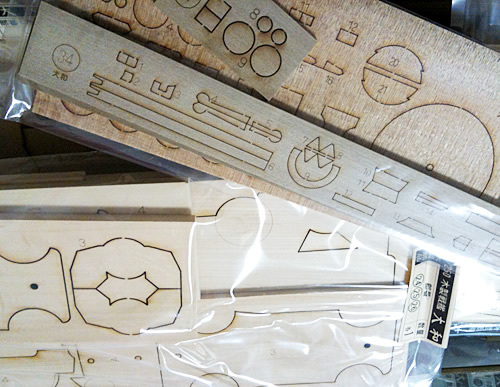 *54 kinds of wooden parts, 130 kinds of metallic parts, and total parts 1,247. *The production reference time: For 130 hours.